Here at Arizona Smiles Designers, we provide quality oral care and services for kids, teens and adults in our surrounding communities. We offer general dentistry, cosmetic dentistry, periodontics and more including Invisalign and dentures. Our dentists are dedicated to creating beautiful smiles and helping our patients maintain them. The maintenance of beautiful healthy smiles requires proper oral care and starts with a knowledge of proper dental health habits. 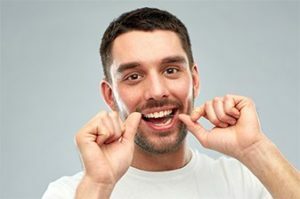 Continue reading to learn more about dental health and how you can keep your smile healthy. Have a balanced, healthy diet. 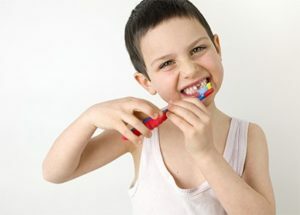 It is very important for children to start good dental hygiene practices earlier rather than later. The most common chronic disease in children in America is tooth decay, affecting 50% of first-graders and 80% of 17 year olds. By instilling proper oral hygiene practices at an early age and bringing your children into our office for regular visits, the chances of your child developing common oral problems is reduced significantly. Their self-esteem, health and well-being will be enhanced. Thank you for choosing Arizona Smile Designers in Cottonwood, AZ for your oral care needs. We are excited that you want to improve your dental health with us. Contact us at (928) 634-8610 for more information about our general and cosmetic dental treatments. We are always happy to help. We can schedule an appointment for you over the phone, also. We look forward to seeing you soon!